Many design trends come and go, but one movement that seems to continually endure is minimalism. Famed for its use of negative space, simple (often monochromatic) colour schemes, and sparse design features, minimalism still enjoys a lot of popularity—particularly in the worlds of fashion, interior design, and web design. With mobile-first and responsive design increasingly in demand in our increasingly smaller, space-restricted digital world, minimalism’s simplicity and accessibility seems like a perfect answer to today’s demands. 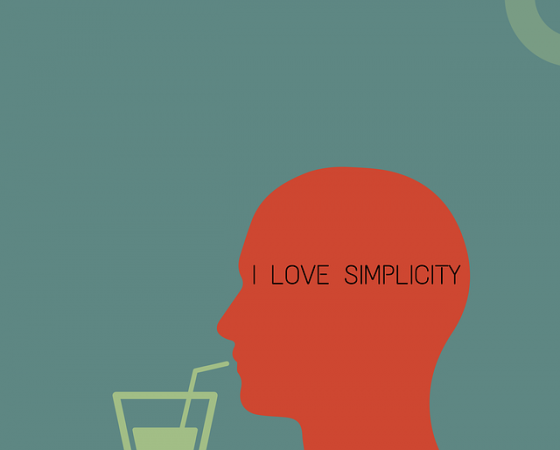 Here are just a few ways you can make your site simple, minimal, and beautiful. Makes sense – but what does this mean in concrete terms for web designers? It’s open to interpretation, but one of the most important elements of minimalist design is that of ‘negative space.’ Negative space refers to areas of a design ‘space’ without content. In terms of web design, think of all of the page space you aren’t using or filling with page elements. Well, actually, you are using that space, even if you aren’t filling it. That is because negative space makes room for the things on your page – without negative space, there’d be no positive space. In other words, your site would be a huge, busy mess. 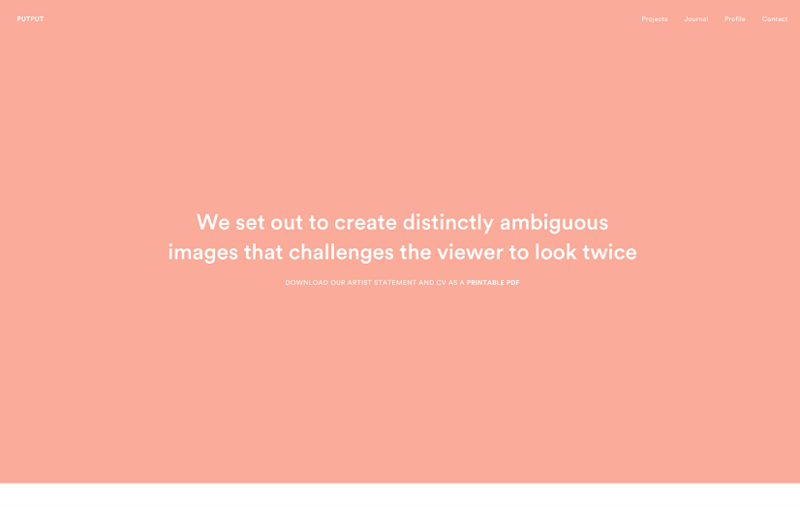 Negative space therefore manipulates the user’s visual interaction with a page—the more of it that surrounds an element, the more a user is going to be drawn to that element. Taking negative space to the extreme, as minimalism does, means putting extra emphasis on the most important page elements within a web space. By drastically contrasting large, plain negative space with dynamic, exciting and colourful navigation elements, a site has a much bigger advantage over one that fills all of its space. 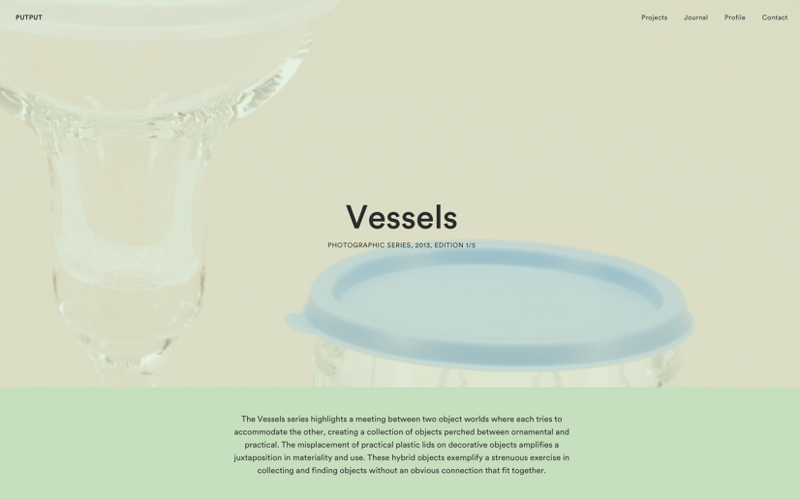 One site that manages negative space expertly is putput.dk. The site is run by two visual artists based in Copenhagen, Denmark. The site is stripped down to its bare minimum: 4 navigation elements at the top right, and three portfolio pieces of recent exhibitions in the centre. Large, colourful photos (another hallmark of minimalism) serve to break up the monotony of the space through the use of heavy contrast, grabbing the user’s attention immediately and giving them an idea of what the site is all about. As you can see, the use of negative space, colour, and contrast serves to really emphasise the aspects of the site the owners want users to be attracted to. This aspect of minimalism is a hugely effective weapon in the web designer’s toolkit. Read more about using negative space in this wonderful guide.